The 20 – 22nd of May heralded a gathering at Exeter University of some of the most interesting folks in the Experimental Archaeology world with the 2013 OpenArch Conference. The workshop brought together individuals from all over Europe, representing a huge range of open air museums and research institutes. The knowledge and experience emanating from those few dozen people was truly awesome. 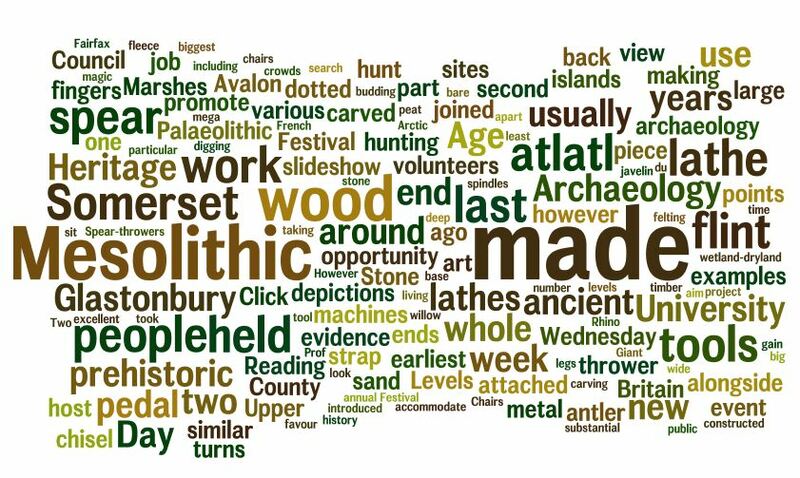 There were highly skilled blacksmiths, roundhouse builders, flintknappers, leatherworkers, iron smelters, shipwrights and world-renown archaeologists to name a few. The topic for the conference was focused on Structure Biographies. We spent the first two days listening to various presentations on and around this theme and engaged in extremely interesting debates, covering topics ranging from mitigating the effects of woodsmoke to Bronze Age boat building and onto the best way to construct (and deconstruct) an Iron Age roundhouse. The third day we ventured east en-mass to Old Sarum to experience the newly constructed Neolithic houses built by a team of volunteers led by the Ancient Technology Centre and English Heritage for the new Stone Henge Visitor Centre. These beautiful buildings are based on the footprint of those excavated at Durington Walls and give a real glimpse into the life and technology of our stone age ancestors. In the afternoon we carried on into Dorset to the impressive Ancient Technology Centre. We had an incredible opportunity to pick the extremely knowledgeable brain of Luke Winter (the ATC’s manager) on a whole range of logistical and constructional issues relating to our planned buildings including the best way to make wooden shingles, how they built their longhall and what fire-safety detection equipment to use. We walked away from the three days feeling extremely inspired and even more eager to get going with our projects! One of the many interesting presentations, this one, by Alan Outram, focussed on Kazakh building methods.